Our 350 trees produce a small yield of high quality extra-virgin olive oil which has the strong, spicy flavour unique to Tuscan oil. Our olives are farmed by us, using only organic farming methods. Although the busiest time of year is the raccolta, or harvest, tending an olive grove is a year-round responsibility, as the trees need to be pruned and fed, and the grass kept trimmed. Our olives are hand-picked by us and Michele’s family using traditional methods such as brucatura (combing), which don’t damage the fruit or trees. The olives are picked directly from the tree – we do not collect ground fruit, which may already have started to ferment. Tuscany is the northernmost region in Italy for olive oil production, and the climate means that the picking season is short and early (usually late October – December), as olives must be harvested before the first frost. Picking olives early reduces the oil yield – a Tuscan olive produces a tiny fraction of the oil that ripe Southern Italian, Spanish and Greek olives do – but it also gives Tuscan oil its concentrated and superior flavour. Our olives are cold-pressed at local frantoii (presses). We witness the pressing of all our olives (even when they’re pressed in the middle of the night) to ensure that the final oil is unadulterated and not mixed with inferior oils. Pressing the olives soon after picking (24 hours) helps ensure that our oil is extra-virgin. A common misconception is that extra-virgin means ‘first-pressed’ – it is actually a measure of acidity. To be classified as extra-virgin, the oil must have acidity under 0.8% (under 0.6% to be classified as Toscano IGP). Harvesting the olives before they are fully ripe and pressing them before they begin to ferment keeps acidity levels low. Tuscan extra-virgin olive oil has a unique taste which is peppery and fruity. Its robust flavour makes it particularly suitable for drizzling on bread, salads and soups. The special flavour of our Tuscan EVOO is a result of the variety of olives grown, the non-mechanised cultivation methods and early harvesting time, all of which are determined by Tuscany’s particular climate and terrain. Tuscan oil is typically lower in acidity, richer in anti-oxidants and stronger in flavour than oil produced in the warmer regions of Italy, Spain or Greece. 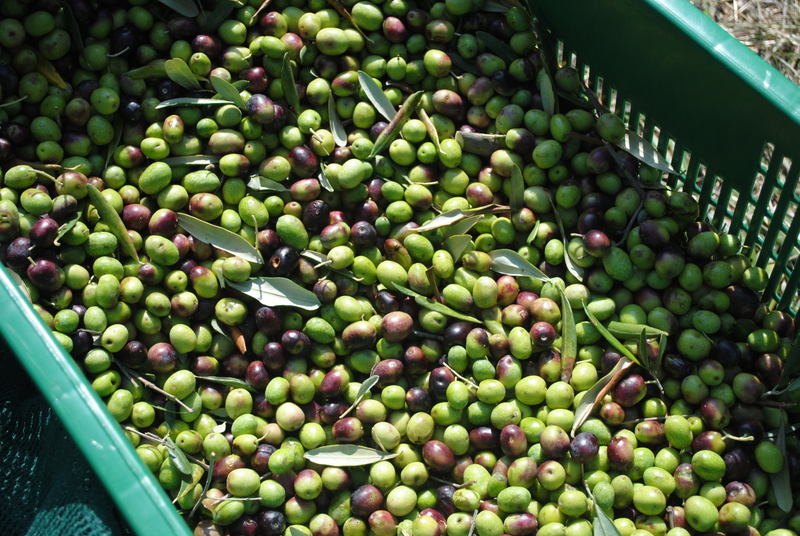 Tuscan oil is often very green due to the use of unripe olives. However, colour is not necessarily a sign of quality and can be affected by a number of factors including the variety of olives and the chlorophyll in leaves included in the pressing. Professional olive oil tasters drink from blue glasses so they are not influenced by the colour of the oil. Unlike wine, olive oil doesn’t improve with age. 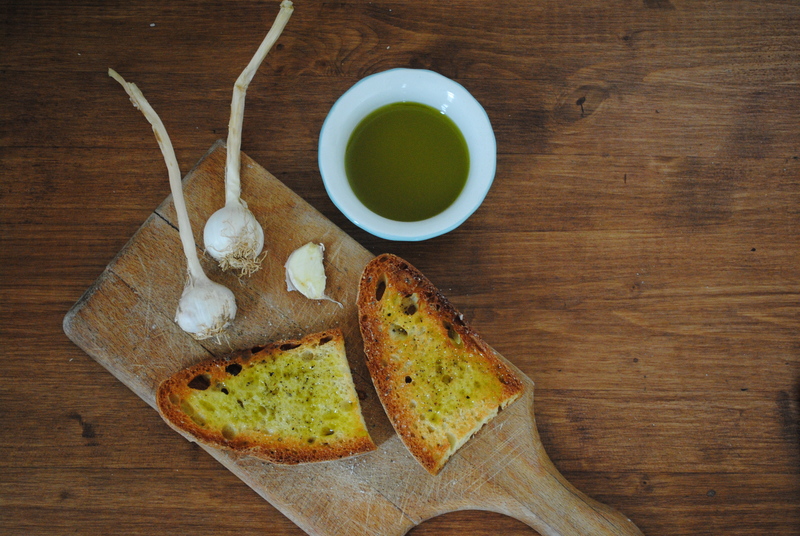 Although the oil itself doesn’t degrade quickly, the flavour of the olio nuovo is much stronger. Italians tend to use new oil for dressing salads or drizzling on pasta and bread, and older oil for cooking. To retain the flavour of the olive oil it should be stored away from direct sunlight, ideally in a glass container. Our oil is unfiltered as we believe this enhances its flavour, but after a time sediment may settle at the bottom of the container and should be drained off. Thank you for stopping by my blog and introducing me to your very interesting blog. I look forward to reading more. Thanks for the kind words! Your cat is adorable. Katie. Mrs Sensibles dad has olive trees on his land. I remember how hard the work was picking and moving baskets of olives around. I ached for a week. but the result is worth it. It’s definitely hard work, although the whole family chips in, but it’s so worth it when you taste that olio nuovo. We visited Renzo Baldacini’s grove outside of Lucca a few years ago. He has restored the trees and planted more, so he is doing much the same as you. Take a look here at his website. The property is part of an old villa, and he has the “barn” and a small church on his property. Reading your blog brought back good memories of our visit to his farm. Take care and keep up the great work that you are doing! That looks like a beautiful place – I wish we had a villa/barn/church too! Must’ve been a wonderful visit. Thank you for following! Looking forward to posts about olive oil! yum! Thank you for liking my blog post to allow me to discover your olive oil. Thank you for visiting, I hope you enjoyed reading about our olives and oil. I loved learning about your olive oil. You are clearly an expert and I reading this informed me about so much didn’t understand clearly about olive oil. Thanks for the lesson! Thank you! We are definitely not experts yet but are learning fast – there are so many misconceptions about oil and how it’s made. It’s nice that other people are as interested as us! you make not feel like it but you definitely sound like an expert! let us know when you have started to sell you olive oil! Congratulations!!!! I know is must have been much hard work to get to where you are now. A true labor of love! Wishing you continued success. Grazie! We will do our best to make the grove flourish again! I knew that olives were a lot of work, but didn’t realize how much! I am so looking forward to getting back over there and buying local oil instead of having oil that has been shipped halfway around the world. Yes, it makes so much difference knowing exactly where your food is from. I think you can taste the Tuscan sunshine, grass etc in the final product. Producing olive oil (like any crop) is hard work, although there are times of year when you can relax a bit more – having said that it’s such a beautiful place to work that we can’t really complain! Thank you for stopping by my blog. Your olive oil sounds wonderful. Is it available in the US? Thanks for visiting! Not yet, we are still sorting out all the documentation to start selling our oil, but hopefully we will sell it from this autumn (harvest time). I will keep the blog updated with any progress! Great! Good olive oil is wonderful!!! wow… I want a bottle!!! How exciting, We’ll keep you posted! Thank you for stopping by! I found only now the time to have a proper look at your blog and I love your organic oil project, it is something I d like to do someday as well so I ll keep reading about it!